Historically, geographically, culturally – there are many points of comparison between Australia and its neighbour to the east, New Zealand. But there are notable differences. This week, The Conversation, in conjunction with Griffith REVIEW, will publish essays examining issues of marginality and modernity. We’ll run articles on the arts, the environment; on the economic and emotional ties that bind people to land, and land to the rest of humanity. We’ll take a fresh look at the 21st-century world that exists just beyond the ditch. In the quiet week between Christmas and New Year, sometimes even New Zealanders are newsworthy. Generally the significant Kiwi population in Australia goes unnoticed and unremarked. On Saturday December 28, however, mastheads from Rupert Murdoch’s News Corp Australia stable suddenly discovered the pressing threat posed to Australia by people crossing the Tasman. The headlines varied from paper to paper. The NT News was concerned about welfare rip-offs: “Kiwi layabouts are flooding in” it screamed. The Australian focused more on the integrity of our borders. It warned of an “Immigration back door”. Beneath the arguably more sober title “New Zealand migration to Australia soars 40%”, Newscorp’s online version of the story was slugged “Jobless Kiwis are flocking to Australia in search of work - and demanding the dole”. Tabloid treatment of the issue in the papers inevitably resurfaced on tabloid TV. To be fair, in the body of the stories both the newspapers and the TV show raised concerns about the difficulties faced by many New Zealanders who are long-term residents of Australia but who are denied access to a range of entitlements because they arrived after 2001. It is an issue that advocacy groups like OzKiwi and Kiwis in Oz struggle valiantly (and usually vainly) to get Australian journalists interested in. Tales of Kiwis struggling in difficult circumstances in Australia are a staple in the diet of New Zealand’s news media, but rarely get much attention here. Kiwi-bashing is not without precedent in Australia, although there seems to be persistent confusion about the exact nature of the threat. It is unclear whether the core problem is that New Zealanders work too hard, and so threaten to “steal Aussie jobs”, or whether they are too lazy, and so threaten to sponge off the generous and unwitting Australian taxpayer. From the mid 1980s until the early 1990s, for example, there was a strong current of concern that New Zealanders were displacing locals in the labour market. The wool industry came in for particular scrutiny, with the Australian Workers Union claiming in 1992 that more than 40% of the Australian clip was being shorn by New Zealanders, while half of all Australian shearers were out of a job. “How are we supposed to find work when our government encourages outsiders to come and take it from us?” complained the union in a press release. That same year, Labor backbencher Clyde Holding (who had briefly been immigration minister) circulated a paper in federal caucus which argued that New Zealanders were “over-represented” in the Australian workforce and holding down “close to 190,000 jobs … which in almost all instances can be performed by Australians”. Holding wanted the government to “crack down” so that New Zealanders would “go back to work in New Zealand” and leave “jobs in Australia for Australians”. Holding viewed free movement between Australia and New Zealand – formalised in the 1973 Trans Tasman Travel Agreement – as “an anachronistic hangover” from the days of Empire. He lobbied for New Zealanders to be subject to the same restrictions as all other migrants seeking to work in Australia. Yet at the same time as they were forcing Australians onto dole queues by stealing jobs, New Zealanders were also, evidently, not working hard enough, but instead making wanton use of Australia’s welfare system. In 1986, Liberal MP and future foreign minister Alexander Downer used his position on an opposition waste watch committee to claim that pregnant single New Zealand women were coming to Australia to give birth to their children so that they could get access to the supporting parents benefit. He alleged that they would then return to New Zealand to live on the proceeds, at a cost to the Australian taxpayer of about A$6 million per annum. Downer’s claim was a preposterous beat up. Payments by the Australian government to single parents in New Zealand totalled less than a sixth of the figure he quoted and most of that money went to mothers who had returned home to New Zealand after the breakdown of an Australian relationship. As then-social security Minister, Brian Howe, pointed out, Downer’s claims defied logic, because at the time, New Zealand offered single mothers more generous benefits than those available in Australia. In 1988, Brisbane’s Sunday Sun reported on a Liberal Party survey that found that hostility towards Kiwi dole bludgers “romped in” as the issue of greatest concern to Queensland voters. In an aside in parliament, Labor Finance Minister Senator Peter Walsh accused New Zealand of exporting its unemployment problem to Australia. In a live interview from Bondi Beach broadcast on breakfast television, comedian Vince Sorenti joked, “to all you New Zealanders, there are only 27 shoplifting days left to Christmas”. Such a climate leaves little room for reasoned debate or factual analysis, though the immigration minister at the time, Robert Ray, did issue media releases urging his compatriots to “show Kiwis some respect” and pointing out that far from being a collective burden on the taxpayer, New Zealanders in Australia were generally “young, mobile and working”. In Archives New Zealand in Wellington, I came across a 1989 file note in which the New Zealand High Commission guestimated that for every $1 in unemployment benefits paid to New Zealand citizens, the Australian government received more than $10 in tax revenues from New Zealanders who were working. The persistent stereotype of the Bondi Bludger was one of the reasons why the Hawke government in 1986 imposed a six month waiting period before newly arrived New Zealanders could receive unemployment benefits. In 2000, this withholding time was extended to two years, putting New Zealanders on the same footing as all other permanent migrants entering the country. Then, in 2001, the Howard government amended the definition of “Australian resident” in social security laws in such a way as to specifically exclude New Zealanders. Ostensibly, nothing in Trans Tasman Travel Agreement itself had changed. New Zealand passport holders were still free to enter the country and were automatically granted a Special Category Visa (introduced in 1994 and also known as subclass 444) on arrival that allowed them to live and work in Australia as long as they chose. The difference was that as New Zealanders on Special Category Visas were no longer treated as “residents” under the Social Security Act, they were denied access to a range of government payments. Changes to the social security law had flow-on effects in some states and territories. For example New Zealand parents can find that their children, whether born here or in NZ, are not able to access disability support services. Emergency and public housing may also be denied to them. The situation was compounded in 2005 by new rules that denied New Zealand students access to the HECS/HELP loans scheme to attend university or TAFE. Post-school study is thus out of reach for the children of New Zealanders in Australia unless their parents can afford up-front fees. The latest indignity, as far as New Zealanders are concerned, is that they will be required to pay levies for the National Disability Insurance Scheme, but will not have access to any of its services. As Kiwi advocate David Faulkner has explained, this is because eligibility under the NDIS is determined by the definition of “Australian resident” used in the Social Security Act (which excludes New Zealanders), while the definition used to determine who has to pay the levy comes from the Health Insurance Act (which includes them). It is hard not to sympathise with the view that this amounts to unfair and discriminatory treatment. The 2001 changes came after Canberra had attempted to convince Wellington to shoulder a much bigger share of the cost of paying benefits to Kiwis resident in Australia. An existing treaty regulated the reimbursement of pension payments to expatriates on both sides of the Tasman, based on the proportion of time a person had worked in each country, but the New Zealand government felt that it was a step too far to expect it to also pick up the tab for such things as unemployment and sickness benefits. It is, after all, hardly usual for a national government to extend welfare to citizens who have chosen to live, work and pay taxes in another country. New Zealand’s Ministry of Foreign Affairs and Trade also believed that the equation still worked out very much in Australia’s favour – it estimated that A$1 billion in social security outlays for New Zealanders was counterbalanced by A$2.5 billion in tax revenues. Recognising that Australia had a sovereign right to make its own laws, however, New Zealand made no formal objection to Australia changing its social security legislation. 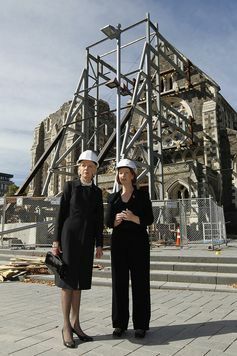 Publicly, the changes were presented as the outcome of a bilateral agreement between Canberra and Wellington, a view NZ prime minister Helen Clarke did little to dispel. There were, however, voices on both sides of the Tasman that warned of trouble ahead. Democrat senator Andrew Bartlett, the only member of the Australian parliament to raise significant concerns about the bill, noted it could leave some New Zealanders worse off than migrants from other countries. He foresaw, for example, that a woman who left an abusive relationship could find herself stranded. “A woman in that circumstance will not qualify for any income support,” Bartlett warned his fellow Senators, foreshadowing a scenario that has today become a pressing reality for charitable welfare agencies that have to step in to pick up the pieces. Children of New Zealand parents who flee a violent home are equally at risk of being abandoned by the system. The Senator could have gone further: it was not just a question of whether or not New Zealanders would have reason to take out permanent residency, but whether they would be able to do so. There are no qualification requirements for New Zealanders to enter the Australian workforce, but if Kiwis aspire to become permanent residents then they must jump through the same skilled migration hoops as entrants from other countries. They are in competition with the large pool of international student graduates and skilled workers on temporary 457 visas that also want to transition to permanency. If New Zealanders do not have a profession that is in short supply, or if they are over the age of 45, then chances are they will never become residents. Whether they have made their lives here – bought houses, established businesses, raised families – is irrelevant. Instead, they are destined to a status that is permanently marginal. Not only will they be denied access to government benefits but they will never be able to vote. Goff’s warning has proved prophetic. 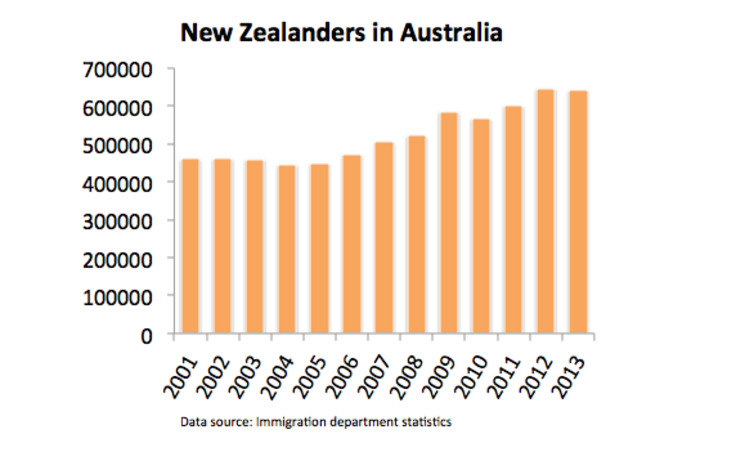 After the 2001 changes the number of New Zealanders living in Australia stabilised for a few years, but then climbed sharply between 2005 and 2012. The most recent Immigration department statistics show that as of 30 September 2013, there were 648,200 New Zealanders living in Australia on Special Category Visas. According to the best estimates of researchers Kate McMillan and Paul Hamer, close to 200,000 of these Kiwis are subject to the 2001 restrictions – a cohort that is steadily growing. As the numbers swell, the unfairness that Goff warned about becomes ever more apparent. Federal government bureaucrats realise it is an issue that cannot be ignored forever. We know from documents released under freedom of information laws, that in 2009-10, considerable work was put into a “thought paper” investigating the possibility of creating a “pathway” to permanent residency for New Zealanders, outside the existing options already available under the migration program. Creating a pathway to permanent residency (and so ultimately citizenship) was one of the recommendations put forward in the joint report on the trans-Tasman relationship published by the Australian and New Zealand Productivity Commissions in 2012. There was some expectation that the issue might be put on the table in February 2013 as part of the annual leaders’ meeting between prime ministers Julia Gillard and John Key. So far though, no policy proposals have seen the light of day and there is no indication that is about to change. In October 2013, after being congratulated on his recent election victory by visiting NZ prime minister John Key, prime minister Tony Abbott described New Zealanders as “family” (echoing sentiments expressed by Gillard after the Christchurch earthquake). But when asked about the restricted entitlements of New Zealanders living long-term in Australia, Abbott said that he was “very happy with the situation as it is right now". 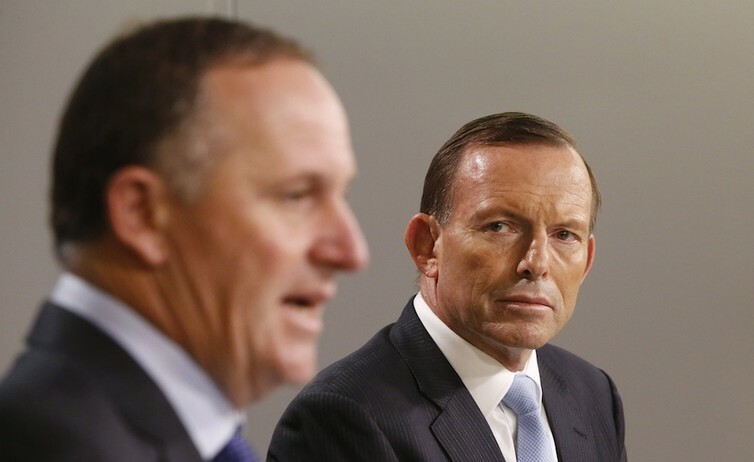 At the same meeting both prime ministers reaffirmed their commitment to free trans-Tasman travel. So unless there is a substantial turn around in the relative wage rates and levels of economic growth between the two countries, it is likely that New Zealanders will continue to settle in Australia. A growing number will live here with limited rights and entitlements. The Aussie response may be to shrug the shoulders and say “so what?”. If they don’t like the way things are, New Zealanders can always go home. They have no excuse for not knowing what they were letting themselves in for. They made a free choice and accepted the deal on offer. But as I have written in Inside Story, migration – even temporary migration – is never a simple transaction. With the passage of time it takes on a different weight and character. The longer a migrant stays, the more the contractual nature of the original labour market arrangement recedes into the background and the more the attachment to, and engagement with, the host country grows. Issues around the rights and entitlements of New Zealanders living in Australia are not about to go away. Nor will they be solved by another bout of Kiwi bashing. Peter Mares is associate editor of Inside Story magazine and an adjunct fellow at the Institute for Social Research at Swinburne University. He has a long-standing interest in migration issues. Written by Peter Mares, Adjunct fellow Swinburne Institute for Social Research, Contributing Editor, Inside Story , Swinburne University of Technology. This article was originally published on The Conversation. Read the original article.